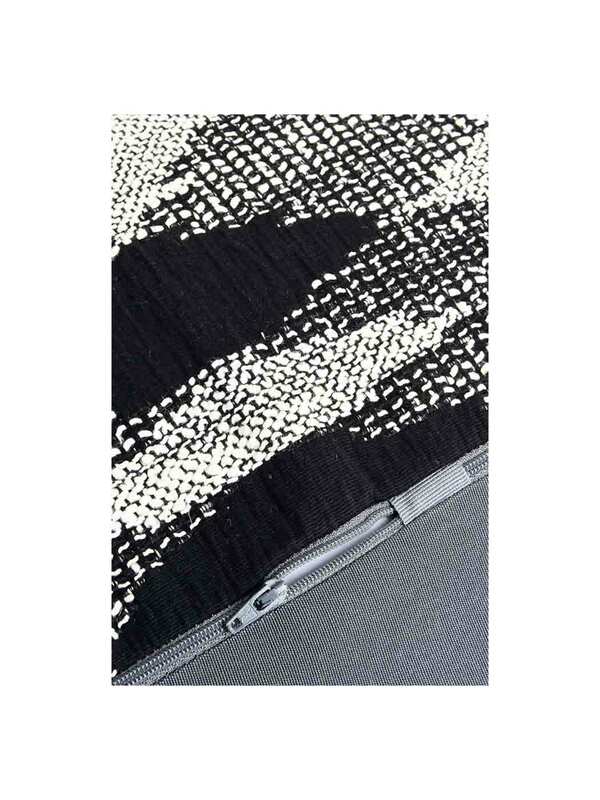 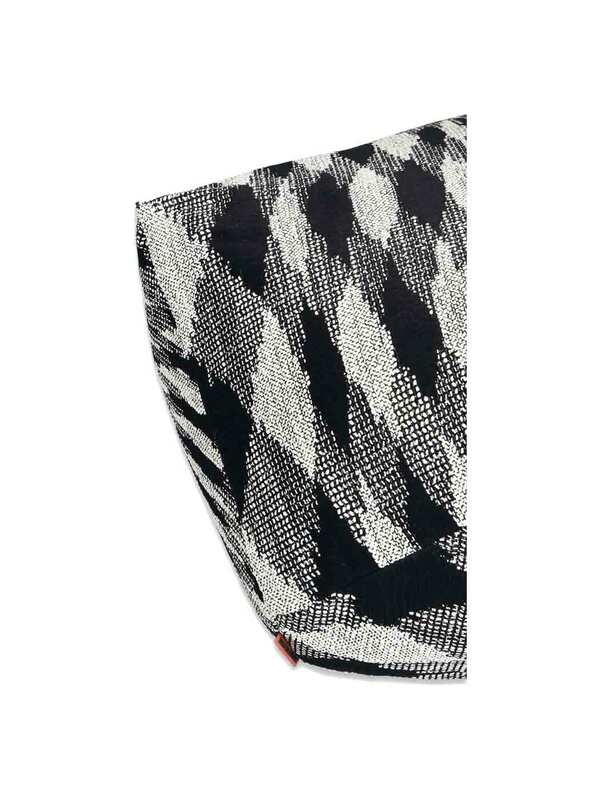 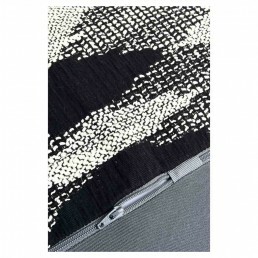 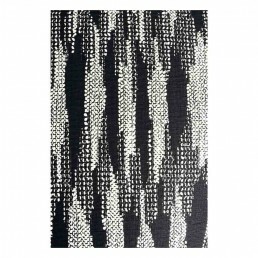 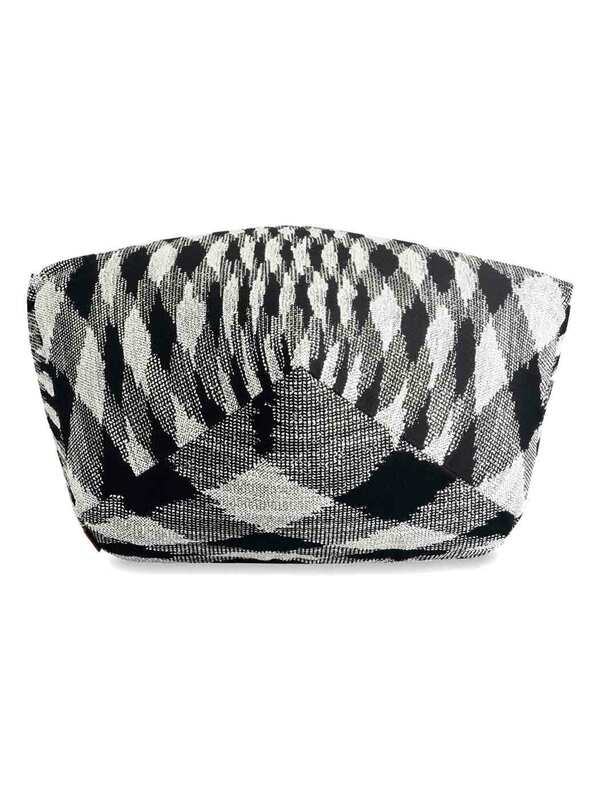 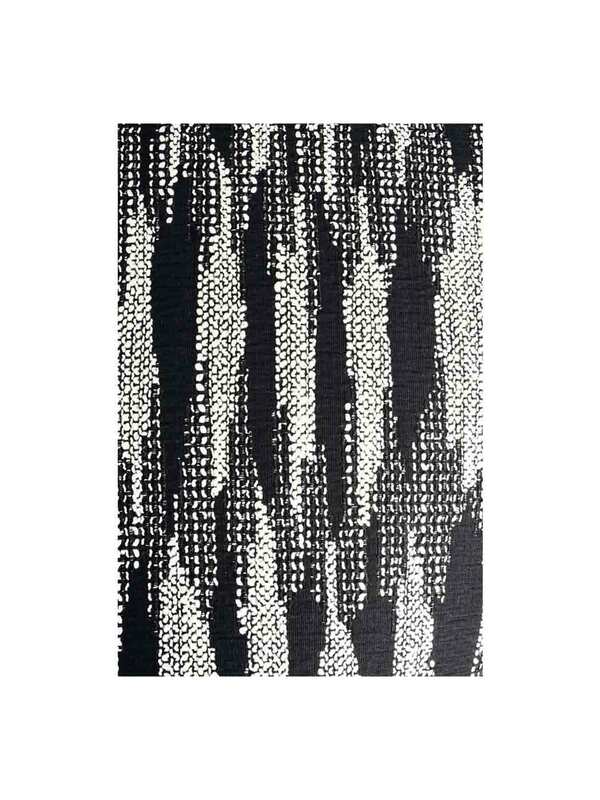 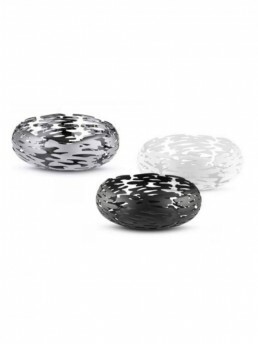 The Visby Diamante pouf from Missoni Home is a diamond pattern in yarn dyed black and white flame jacquard fabric which features a raised design that is woven (instead of printed) onto the fabric. 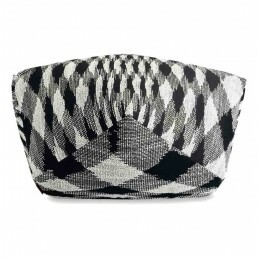 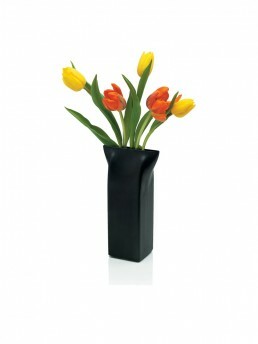 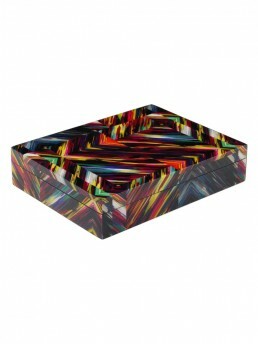 Introduce eye-catching design into your living space with the Visby Diamante pouf. 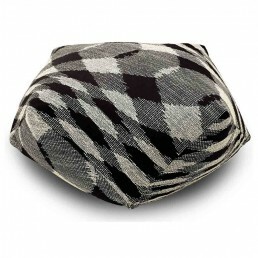 Ideal for pulling up to a comfy chair to put your feet up and relax or perfect as a seat when guests visit, this pouf is a pleasing addition to any home. 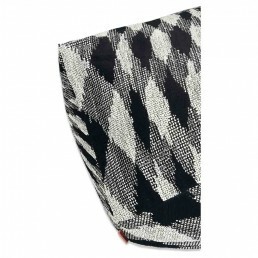 Rosita Missoni has been designing Missoni Home since 1997, after having revolutionized print and mesh in the world of fashion. 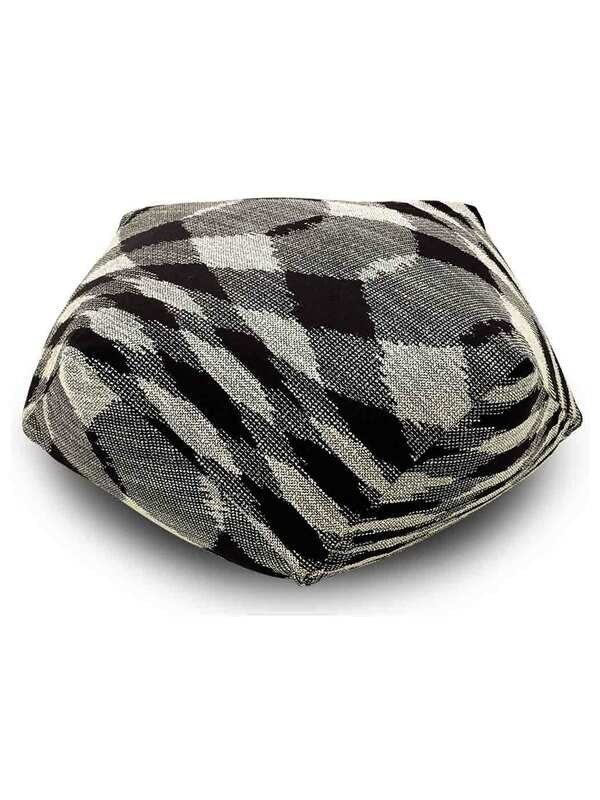 Now, Missoni Home is a true “lifestyle” concept with innovative furniture, upholstery textiles in all kinds of flowers, stripes or zig-zag, contrasting patterned rugs, lighting, a colorful table art without forgetting soft and precious material.